Muskoka has many beautiful cottages & waterfront cottages for sale. Learn about the great communities, activities and lakes to explore when you buy a Muskoka cottage! When searching for Muskoka cottages for sale, start your search here. Muskoka is a four-season destination for cottagers and vacationers alike. Muskoka encompasses towns, villages and hamlets that are rich in culture, the arts, world renowned golf courses, nordic and alpine skiing, leisure activities and more. You will be captivated by its natural beauty of lakes, rivers, lush forests and impressive granite rock cuts. It is no wonder as to why Muskoka real estate for sale is in such demand – Muskoka is home to many and loved by all who visit. If you have ever considered purchasing a cottage, look no further than Muskoka, Ontario. Owning a piece of Muskoka real estate allows you to own a piece of Canada’s most desirable cottage country. The benefits of owning Muskoka cottages are endless and with so many Muskoka properties for sale your choices are just as vast. When searching for cottages for sale in Muskoka, the region has something to offer everyone – catering to all tastes, preferences and lifestyles. With approximately 60,000 permanent residents, Muskoka extends from Washago to just north of Huntsville. About two hours north of Toronto, there are six municipalities surrounding the Muskoka area – Gravenhurst, Bracebridge, Huntsville, Georgian Bay, Lake of Bays and Muskoka Lakes. Muskoka cottage designs range from rustic to modern to the famous Muskoka luxury cottages for sale along Millionaires Row on Lake Muskoka. Cottages in Muskoka aren’t just for Ontarians or even Canadians for that matter. With so much to see and do, Muskoka real estate is perfect for those outside our Canadian borders. Dubbed ‘the Malibu of the North’ by the New York Times, our American neighbours have been choosing to purchase real estate in Muskoka, Ontario over visiting exotic destinations in Europe or the Caribbean for years. Even celebrities have fallen in love with the natural beauty and charming appeal of Muskoka cottage country. Justin Bieber, Halle Berry, Steven Spielberg, Tom Hanks, Goldie Hawn, Kurt Russell and Kate Hudson are just a few of the famous Hollywood celebrities who own Muskoka homes. If you live in the U.S. now is the time to buy that luxurious Muskoka lake real estate you’ve been dreaming of. For U.S. citizens, the strong American dollar makes purchasing a cottage in Muskoka a good investment. If you want to be on a Muskoka lake, Muskoka waterfront properties for sale offer some of the very best cottages in Muskoka. Waterfront cottages for sale in Muskoka cater to people who love nature, enjoy boating or those who just want to sit back and relax by the water. Waterfront cottages for sale in Muskoka are highly sought after because here you will find the very best lakes in Muskoka. Muskoka waterfront can also include Muskoka riverfront properties for sale. Water adventure enthusiasts can also take part in waterskiing, parasailing, wakeboarding and tubing. With endless miles of pristine waters waterfront cottages for sale in Muskoka are a true boater’s paradise. There are over 68 boat launches, 75 public docks and 182 boat slips located throughout the region and no shortage of marinas. For those looking for a quiet and serene lake to enjoy kayaking and canoeing in peace, there are many Muskoka lakes that are either motor-free or offer motor restrictions. When considering Muskoka waterfront cottages for sale, you don’t have to worry about owning a boat. A handful of marinas offer various types of watercraft rentals. Tours are also an option on some of the larger lakes if you prefer to just sit back and relax so you can focus on the scenic views the best lakes in Muskoka have to offer. Like to fish? Muskoka lakes offer some of the greatest fishing in all of Ontario. Bass, trout and pike are plentiful. Cast off from the dock of your Muskoka waterfront cottage or take a boat out to a prime fishing spot. Another great option are private fishing charters offered throughout Muskoka. Muskoka is the waterfall capital of Canada. Bracebridge is home to over 20 waterfalls alone and it’s well worth the trek to the largest waterfall, Bracebridge Falls. There is no shortage of canoe and kayak rentals available, so even those just discovering this favoured Muskoka transportation mode can partake in it. Just another perk for Muskoka lake cottage owners to brag about! There are more than 1,600 bodies of water that Muskoka lakes have to offer. The four biggest lakes in Muskoka are Lake Muskoka, Lake Rosseau, Lake Joseph and Lake of Bays. These four lakes account for over 30% of the total lake surface in the region. Muskoka homes located along Lake Muskoka or any of the big four lakes represent some of the most magnificent cottages you will ever lay eyes on. Keep in mind that cottages for sale near the ‘big four’ lakes tend to carry a heftier price tag then if you were to buy Muskoka property on a smaller lake. Lake Muskoka has a surface area of just over 115 square km. Nestled between Port Carling and Gravenhurst, Lake Muskoka real estate is plentiful, and cottages for sale on Lake Muskoka disappear quickly. There are many towns to see and explore from Lake Muskoka such as Bala, Port Carling, Milford Bay, Bracebridge and Gravenhurst. From your Lake Muskoka real estate, the Muskoka Wharf in Gravenhurst is the perfect starting point for exploring this Muskoka lake. From here, you can take the Muskoka River direct to the Bracebridge Falls in Bracebridge. Lake Muskoka cottages for sale include the famous Millionaires Row – the extravagant summer homes of the elite. The lake is mainly fed by the Muskoka River, Lake Joseph and Lake Rosseau. Lake Rosseau has a surface area that covers just short of 64 square km. The south end of this lake is in the Township of Muskoka Lakes and the north end is in Seguin Township. The lake is connected to Lake Muskoka by the Indian River and the lock system at Port Carling. Muskoka homes along Lake Rosseau offer a unique window into Muskoka’s past. Muskoka real estate for sale along the lake includes cottages dating back to the late 19th century. Be sure to spend a weekend – or longer – enjoying two great resorts on the lake, the JW Marriott The Rosseau Muskoka and Windermere House. Lake Joseph (affectionately referred to as ‘Lake Joe’), spans close to 52 square km. This Muskoka lake is known for its clear water and amazing fishing, which is why many consider these to be among the very best cottages in Muskoka. Large populations of lake trout, walleye, whitefish, pike and bass can all be found on Lake Joe. Muskoka luxury real estate doesn’t get much better than Billionaires Row, Lake Joseph’s answer to Lake Muskoka cottages for sale along Millionaires Row. Here you will find some of the most extraordinary Muskoka luxury cottages in existence. Lake Joseph is connected to Lake Rosseau through the narrows at Port Sandfield and the Joseph River. The last of the big four, Lake of Bays, spans close to 68 square km. This Muskoka lake is perfect for those looking for a more laid back lifestyle. Lake of Bays, Muskoka boosts picturesque Muskoka cottages for sale in Dorset, Baysville and Dwight and is a short drive into Huntsville. No matter the season, there’s plenty of outdoor activities to enjoy – boating, sailing, water sports, golfing, ice fishing, nordic skiing, snowshoeing, snowmobiling and much more. The lake is fed by Oxtongue River, as well as other rivers and creeks flowing from the north-east. While the Muskoka waterfront gets much of the attention – and deservedly so – Muskoka cottage real estate located inland has just as much to offer, and luxury cottages for sale in Muskoka can be found here too. Muskoka land for sale away from the water may make it more affordable for those preferring to build their own custom dream cottage. Cottages for sale in Muskoka area provide the opportunity to be close to a trail network covering around 4,000 square km of terrain. Whether on bike or on foot, you will be met with stunning views of the Muskoka area. Cycling makes for a great family activity too. Muskoka bike rentals and repair shops make it easy for non-bike owners to enjoy the trails. Experienced riders looking to challenge themselves can take mountain biking trails with varying levels of technical difficulty. With eleven provincial parks, cottages in Muskoka allow you to get in touch with nature. Algonquin Provincial Park, situated just north of Muskoka, stretches across 7,700 square km of forests, lakes and rivers. This Muskoka park offers countless outdoor activities including hiking, camping, canoeing, cross-country skiing and mountain biking. For avid golfers, cottages in Muskoka are perfect. With over 30 golf courses, the Muskoka area is renowned as one of the most popular golfing destinations in Canada. The Aben Team can recommend the best cottages in Muskoka located near 9 or 18-hole courses. For family fun, driving ranges and mini putt courses are also available throughout the region. Even if you are not a wildlife enthusiast, you will appreciate the beauty of Muskoka Lakes natural inhabitants from your Muskoka waterfront cottage. Home to 250 species of birds, including the loon, real estate in Muskoka is a haven for bird watchers. Loons and beavers are a regular sight on the water and are a true symbol of Muskoka. Even if you’re only interested in Muskoka real estate listings away from the water there’s plenty of wildlife to be seen. Deer and moose are common sights. Hikers can also venture up to rocky ridges in hopes of catching a glimpse of the quick moving five-lined skink, Ontario’s only native lizard. Cottages for sale in Muskoka, Ontario provide the unique opportunity to be surrounded by small town charm without sacrificing city comforts. We’re not just referring to those who own Muskoka luxury cottages either. In Lake of Bays, Muskoka enjoy peaceful life on the water while being no more than a ten to thirty-minute drive from the bigger towns of Bracebridge and Huntsville. There you’ll have access to Huntsville Memorial Hospital and South Muskoka Memorial Hospital in Bracebridge. Schools – elementary, high school and post-secondary – are all within a 30-minute drive as well. The Township of Baysville in Lake of Bays provides easy access to the community centre, which has an arena and public library. You’ll find similar conveniences with Muskoka houses in Gravenhurst and Muskoka Lakes, where you’ll have full access to schools, healthcare services and recreational centres. Muskoka homes are never far away from fully stocked LCBO and Beer Stores. Suitably located grocery stores allow you to pack light and later pick up what you need in Muskoka cottage country. It also makes for convenient re-stocking while you’re here. When considering Muskoka cottage real estate, the one thing you don’t have to worry about is shopping. From mom and pop shops, boutiques, charming shops, art galleries, florists, cafes, bakeries, one of a kind restaurants, Muskoka cottage country has it all. With continuing advancements in cell service and broadband coverage staying connected digitally in Muskoka homes is getting easier in most parts of Muskoka. Huntsville and Bracebridge boast fairly strong Wi-Fi access, making homes for sale in Muskoka very appealing to those who need to stay connected. These people are choosing to leave congested city traffic behind and make cottage country their permanent residence. If you do have to go into the office once or twice a week, Muskoka is a short two-hour drive from Toronto. True work-life balance awaits you in Muskoka. With digital commuting, enjoy a higher quality of life by living, working and playing in Muskoka. Muskoka cottage country is the ideal location for a wedding, offering a variety of beautiful Muskoka resorts and venues regardless of the season. Summer remains the most popular time for weddings as couples experience the real Muskoka with romantic boat cruises and lakeside weddings. However, spring, winter and fall weddings are growing in popularity as couples take advantage of the stunning natural scenery Muskoka has to offer. If you’re looking for a romantic and unforgettable experience, Muskoka properties offer the complete package when it comes to destination weddings. Inns and lodges in Muskoka and Muskoka resorts allow the new Mr. and Mrs. as well as friends and family of the happy couple to make the celebration a vacation too. Resorts in Muskoka, Ontario include the luxurious Port Cunnington Lodge, Deerhurst Resort, JW Marriott The Rosseau Muskoka Resort and Spa, Taboo Muskoka, Patterson Kaye Lodge and many more. Smaller and quainter accommodations are also available in the form of Muskoka cabins and bed-and-breakfasts. For an even more exclusive getaway, cottage rentals in Muskoka are the way to go. Muskoka cottage rentals are available year-round and cottages for rent in Muskoka can be rented out for as little or long as you desire. Once you rent a cottage in Muskoka you’ll surely want your own piece of cottage country by finding that perfect property for sale in Muskoka. Muskoka is still wrongly perceived to be only a summer destination. This misconception is causing people to miss out on the magic that hits Muskoka when the temperature drops and the water freezes over. With so many winterized four-season Muskoka cottages for sale and Muskoka cottage rentals available year-round you are in for the perfect winter getaway! Snowmobiling is one of the more popular activities in Muskoka, Ontario, providing access to more than 1,600 km of trails across the region. There are also trails for snowshoeing, cross-country skiing and ice-skating. Muskoka homes in Bracebridge have the advantage of being close to Memorial Park Winter Village. This Muskoka park opened to the public in January 2016. It features an ice rink that wraps around the park, and weekends are packed full of activities from BBQ’s to campfires. If you really want to be impressed, drop in for a night-time skate to take in the captivating sight of all the trees lit up. Real Muskoka winters are made for skiing. Downhill skiers won’t want to miss the slopes Hidden Valley in Huntsville has to offer. Warm up in a Muskoka lodge with some hot chocolate before hitting the slopes for a late afternoon run. Feeling adventurous? Break away from the traditional trails with Backcountry skiing and explore Muskoka’s winter scenery to your heart’s content. Muskoka real estate listings near Arrowhead Provincial Park and Algonquin Provincial Park provide easy access to a wide range of winter activities. One of the big draws to Arrowhead this time of year is the skating trail at this Muskoka park. Imagine being able to explore the breathtaking beauty of a snow-covered forest while on skates. It’s a magical experience you won’t soon forget. Winter carnivals are embedded in the rich tradition of the Muskoka area. In 2016, both the Dwight Winter Carnival and Gravenhurst Winter Carnival celebrated their 46th anniversary. Usually held around mid-February, the carnivals provide laughter, fun and great food for all ages. The town of Port Carling and Village of Port Sydney also puts on a fantastic winter carnival each year. Muskoka is a community rich in culture and tradition. When considering cottages for sale in Muskoka, don’t forget to factor in live theater and music, galleries, museums and any one of the annual 130 festivals and events that go on. The Muskoka waterfront boasts a number of memorable events. The Muskoka Lakes Association (MLA) Antique Boat Show is a bi-annual event held in Port Carling, which pays tribute to boats built in Muskoka. Another MLA sponsored event is the annual Aquatic Regatta. It’s a wonderful experience for families because they get to participate in rowing, paddling and swimming events together. The KEE to Bala is an iconic Muskoka property. With an over 700-person capacity, the music venue expands out over Bala Bay. Concert goers float in through the big doors to the natural wood deck overlooking the bay. Muskoka’s history is well-documented and easily accessible from Muskoka houses within each of its towns. Huntsville offers a Pioneer Village at the Muskoka Heritage Place. It gives visitors a glimpse into what life was like in Muskoka before Muskoka luxury real estate came into existence. Bala’s Museum with Memories of Lucy Maud Montgomery honors the Anne of Green Gables author at the restored tourist home where she spent two weeks in 1922. The Muskoka Lakes Museum in Port Carling, focuses on the cultural history of Muskoka Lakes through interactive exhibits. In Gravenhurst, the Muskoka Boat and Heritage Centre is the only indoor, in-water exhibit of antique boats in North America. Looking for that elusive piece of art for your Lake Muskoka real estate? Check the Muskoka listings for the art galleries closest to you. Choose from a variety of photography, paintings, pottery, wood and glass art or stonework. When people think of Muskoka, it usually conjures up images of Lake Muskoka cottages or classic Muskoka waterfront real estate. The area is actually renowned for its culinary excellence as much as its Muskoka luxury cottages. Be sure to check out one of the many farmer’s markets available throughout Muskoka, where you can enjoy fresh fruits and vegetables, meats and baked goods. Farmer’s markets start as early as May in some municipalities and most run until September or October. Although grocery stores are widely available throughout the region, there are just some days when you won’t feel like cooking. On those days, treat your palate to the many different cuisines Muskoka area restaurants have to offer. Great coffee and equally good food are as easy to find as luxury Muskoka cottages for sale. Perfect breakfast spots that can also double as a lunch option include Don’s Bakery in Bala, The Wolff’s Den Café and Gourmet Eatery in Gravenhurst, Fresh Kutz Market & Grill in Bracebridge, Moose Café in Dwight and Farmers Daughter in Huntsville. When it comes to dinner, casual fine dining restaurants abound. Whether you’re craving steak, seafood, pasta or vegetarian 3 Guys and a Stove in Huntsville is a place not to be missed. The Muskoka waterfront view alone is worth the trip to Crossroads Restaurant, which overlooks Lake Rosseau. Other tasty dining options include El Pueblito in Bracebridge, Carey’s Restaurant and Pub in Gravenhurst, Spencer’s Tall Trees, On The Docks Pub and That Little Place by the Lights in Huntsville and Loondocks in Port Carling. We hope the wealth of information presented here was helpful in showcasing all the wonders that cottages for sale in Muskoka, Ontario have to offer. The next step is letting us, the Muskoka realty experts at The Aben Team, help you narrow down your choices by taking you through our Muskoka real estate listings. We are the Muskoka real estate agents with a personal connection to this gorgeous corner of the world. We can point out which Muskoka homes for sale have beautiful sandy shorelines and which shorelines will weed over once mid summer arrives. Muskoka waterfront homes for sale represent just one offering – albeit a spectacular one – of the cottages in Muskoka for sale that we showcase. Our promise to you as Muskoka realtors is to spend the time getting to know you by asking the right questions. Once we know more about what’s important to you we’ll share with you the Muskoka real estate listings best suited to your preferences and tastes. The most important thing to remember when purchasing a Muskoka property is that you’re also buying the lifestyle that comes with it. Luxury meets cottage country charm in Muskoka, Ontario. The Muskoka real estate market is largely comprised of second homes and Muskoka cottages for sale. 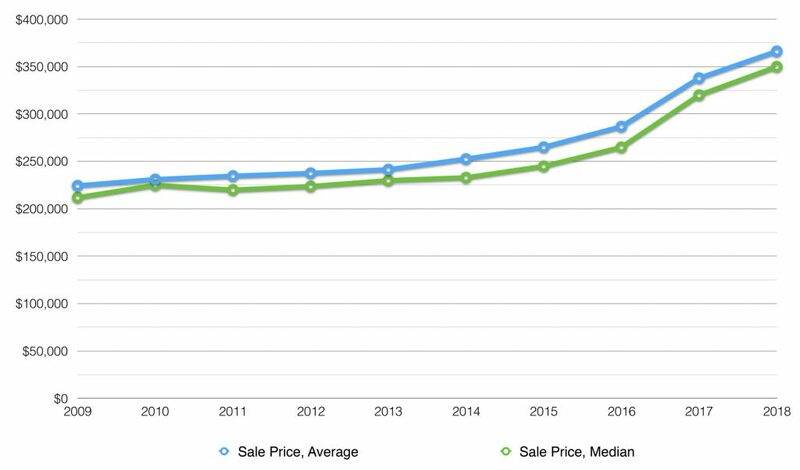 The average price of Muskoka properties, in particular Muskoka cottages, have almost doubled since 2002. 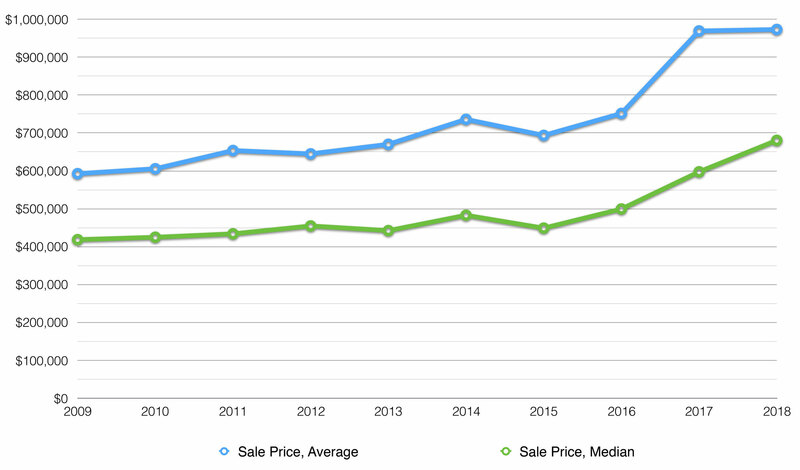 Cottages for sale in Muskoka had an average price of just over $790,000 in 2015. Similarly, houses for sale in Muskoka had an average price of around $268,000. Muskoka cottage sales show no signs of slowing anytime soon. Luxury cottages for sale in Muskoka appeal to empty-nesters as much as the affluent. Once people reach the age of retirement, they are choosing to sell their homes in the Greater Toronto Area and make the move to Muskoka cottage country. Muskoka is a year-round vacation destination and a cottager’s paradise. With several lakes, both big and small all with public access points and a number of public beaches. Muskoka has miles of boating & fishing. With many full service marinas at your fingertips, you won’t have any trouble getting your boat in the water. When you’re ready to make a move to find the perfect cottage, let The Aben Team show you Muskoka cottages for sale using our expertise in real estate & technology. *All attempts have been made to give you the most current and accurate data, but some results may be skewed because of insufficient data to obtain a clear picture. Call us to verify results or to obtain additional information such as; average days-on-market, sales to listing ratios, etc.